JATB is pleased to feature this news from TuBerculosis Vaccine Initiative (TBVI). The news has been released to JATB by TBVI and is carried unedited. The views expressed here are entirely those of TBVI. During a press conference Biofabri’s CEO Esteban Rodriguez explained that the first batch of the vaccine is now available for toxicity studies. After the results of these studies have been assessed by the European Medicines Agency, responsible for accrediting and authorising, the candidate will move to Phase I of clinical trials in humans. Phase I studies are conducted in small groups of healthy adults to check if the new vaccine can be given without any serious side effects or reaction and that it produces a good immune response. If the results are positive the vaccine candidate will move on to Phase II. MTBVAC01, designed by TBVI’s research partner Carlos Martin of the University of Zaragoza, could replace the current BCG vaccine. It is the first and leading attenuated live vaccine globally. The results from the laboratory predict a firm protection against TB; this has to be proven in the coming years. The research team, which has spent four years working on this project, aims to produce a vaccine that will be ‘universally accessible’, protecting millions of people around the world. According to the project’s scientific director Carlos Martin, the disease is becoming more resistant to antibiotics. Tuberculosis is the most important cause of death among people with HIV infection. 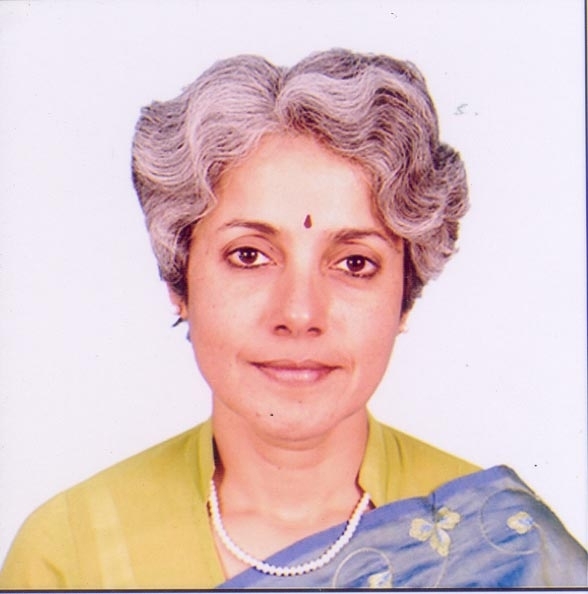 JATB thanks Dr Soumya Swaminathan for this very informative piece on Children and TB. A severely malnourished young girl, about one and a half years old, was brought to the out-patient department of a busy teaching hospital with symptoms of fever, cough and lethargy for about 10 days. Pneumonia was suspected and confirmed by a chest x-Ray and she was given a course of antibiotics and asked to return for follow-up after a week. Her frantic mother brought her back to the emergency room after 4 days – by then, she was unconscious and despite all efforts, died the next day. Tests done then showed that she had TB meningitis or TB of the brain in addition to the infection in her lung. This incident, which I witnessed, has always served as a grim reminder to me, that TB in children is not only poorly understood and mis-diagnosed, but often has little room for error and can progress very rapidly in the young child leading to long-term disability or death, as it did in this case. surveillance and reporting of childhood TB cases. This is a disease where the infection in children is directly related to the prevalence in adults, as it spreads by airborne droplet infection and close contact. While about half of all Indians have silent or “latent” TB infection, only a small fraction (10 per cent) develop signs and symptoms in their lifetime, in the rest the bacteria seem to live quietly, in harmony with the host. Whether the infection flares up into disease depends on many things, notably the body’s immunity and if that is defective due to HIV or malnutrition or diabetes, then TB gets the upper hand in the battle with the immune system. Age is another important factor and children below 2 or 3 years old not only have a higher risk of developing disease, it is often more severe and widespread. Pneumonia or infection of the lungs is a leading killer of children, world-wide, accounting for about 20 per cent of deaths in under-five children. Recent studies in Africa showed that TB was a common cause of “pneumonia” in both HIV infected and uninfected children – it was detected only when a special effort was made as part of a research study. It is likely that more children will be correctly diagnosed if TB is considered as a cause of other common childhood infections. However, it is important to note that the correct tests need to be performed and interpreted properly — another challenge as x-Rays in children are notoriously difficult to read and prone to reader bias. Perhaps due to the lack of a “gold standard” diagnostic test in children (the sputum test serves as one in adults), a number of unnecessary and useless tests are performed, contributing to a bigger hole in the pocket of the parent, but little else! It has been estimated that in India alone, 15 million dollars are spent annually on serological (ELISA) tests for TB – resources that could be better spent, considering there is no evidence that these tests are useful. Children with TB infection today represent the reservoir of TB disease tomorrow. If the global goal of eliminating TB by 2050 is to be met, treatment and prevention of TB in children needs as much attention as in adults. 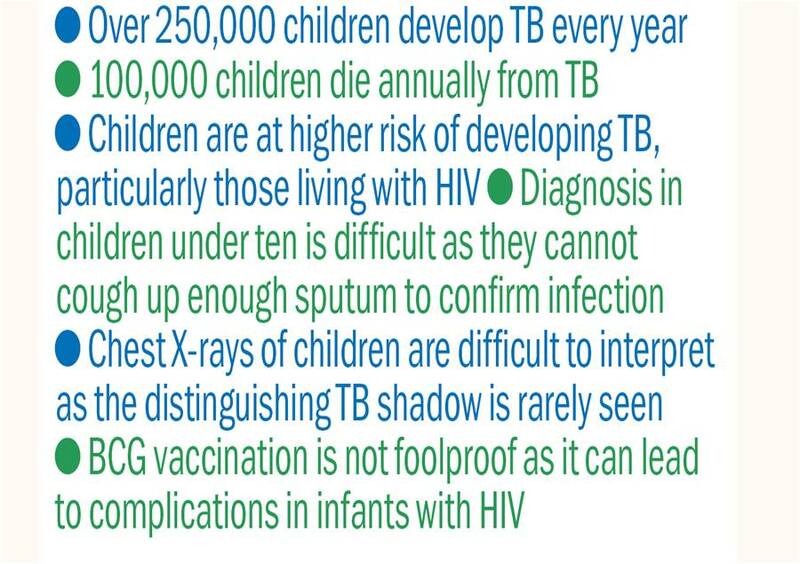 Unfortunately, BCG, the only licensed TB vaccine, has limited efficacy against the most common forms of childhood TB and its effect is of limited duration. There are several clinical trials ongoing to test newer vaccines for TB, but it will take 8-10 years for a more efficacious vaccine to be available for wide use. Most clinical trials for new TB drugs and drug combinations (that will be effective against both drug sensitive and drug resistant TB) are being conducted in adults and do not include children. While there are obvious ethical as well as practical and logistical issues that need to be addressed while conducting trials in children, excluding them only ensures that they do not benefit from advances in diagnostics, new drugs or preventive strategies. Scientists and researchers need to do a better job of raising awareness, educating and engaging with the community about clinical trials in general and trials in children, in particular, especially since most participants in TB clinical trials tend to be poorly educated and socially disadvantaged. The National TB Control Program is one of the largest and most successful public health programs in the world, providing high quality services to over 1.4 million patients every year. However, screening of household contacts of adult TB patients and provision of preventive drugs to young childrenmust receive higher priority. As India moves towards universal access to prevention, diagnosis and treatment of TB, the little ones amongst us must not be forgotten. First published in The Hindu – 14 April 2011. Published in JATB with permission from the author. What can the Global Fund do more of? As a part of the Global Fund to Fight AIDS, Tuberculosis and Malaria (GFATM) consultation project, the Biennial Partnership Forum 2011, an inclusive online debate was initiated to find answers to some key questions. The answers were expected to contribute towards constructing a more robust roadmap for the future of the Global Fund. The responses have been wide-ranging – both in suggestions and observations. They reflect the voices, expectations and hopes of affected communities, programme administrators and other stakeholders. They also indicate that GFATM has become a symbol of hope and stakeholders would like to see its scope go beyond just funding country programmes. Regardless of whether or not this is feasible, or fits in with the scope of GFATM, the exercise has succeeded in revealing some very real gaps that need to be addressed. The summary of the responses is available at http://www.citizen-news.org/2011/04/global-fund-consultation-topic-1-lives.html. That the Global Fund has touched lives and made a difference is evident from the figures, which speak for themselves (see box at the end of the article). The Global Fund works in close collaboration with other bilateral and multilateral organizations to supplement existing efforts in dealing with the three diseases. In the coming years, it would be very important for the Global Fund to translate this understanding into action. That linkages in other sectors are also important is evident from the fact that the responses to the online consultation had a significant number of respondents pointing towards the need for more effective measures to prevent diseases. Other demands include collaborative programmes such as training for health workers, health and community systems strengthening and the scaling-up of laboratory services. The CCM is a vital hub for effective functioning of the Global Fund in each country. Most of the respondents to this story were of the opinion that the purpose would be well served if there was greater representation from non-government entities. “While government representation is very important, it should not result in all the other voices becoming less vocal. It is absolutely imperative for a Global Fund representative to anchor the CCM meetings,” appealed one respondent eloquently. The India CCM, on the face of it, has very little representation from the TB sector and the emphasis seems more in favour of AIDS. One can rationalise that when AIDS is addressed, TB also gets attention but AIDS and TB can be twinned only to some extent because, while 80 percent of people living with HIV might develop TB at some time, the reverse might not be true. It becomes vital to look at TB as a separate entity and give it special emphasis and this merits greater representation from the TB sector. * 3 million people currently on antiretroviral treatment for HIV. 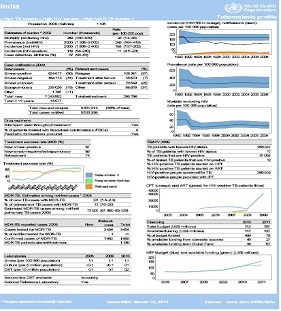 * 7.7 million people on effective TB treatment under the internationally approved TB control strategy (DOTS). * 160 million insecticide-treated bed nets distributed to protect families from malaria. * 150 million people reached with HIV counseling and testing. * 142.4 million malaria drug treatments delivered. * 2.7 billion condoms distributed. * 5 million basic care and support services provided to orphans and vulnerable children. * 160.4 million people reached with community outreach services. * 12.3 million people trained to deliver services for prevention and treatment of AIDS, TB or malaria. Global Fund-supported programs have saved so many lives by enabling countries to deliver significantly expanded key services (see figures above ). The emphasis has been on service delivery. Numbers are important but meeting the Millennium Development Goals for HIV, TB and malaria will require huge efforts and commitments in terms of funding, programmes and country specific responses that go beyond the numbers. The consultation has revealed some of the more severe gaps. It remains to be seen how the Global Fund will respond to the challenges. As the sun set over the 2,500 year old stupa in Vaishali, Bihar, in the half-light of dusk, a young woman showed me an X-ray that she brought out of a dark and damp corner of her hut. She weighed less than 30kg, looked anaemic and weak and carried a 10 day old infant in her arms, while two other toddlers tugged at her sari. Even in the poor light, I could see that her X-ray had a cavity and white patches in the right lung, a sure sign of tuberculosis, most likely of the infectious variety. She had taken treatment for TB off and on 8 months ago but after several visits to the health centre that did not have a stock of drugs, had given up. She had been to the local primary health centre recently complaining of cough and fever, had been given cough syrup by the pharmacist and she had also taken several courses of antibiotics from local private practitioners. When she finally had a sputum test done, it was heavily positive for TB bacteria and she was advised a fresh course of TB treatment. Her 10-day old baby girl was underweight and showed no obvious signs of infection but both her other children were found to be infected with TB. I left with a heavy heart, hoping that she had the common or drug-sensitive form of TB where her chances of cure were high if she completed her full course of treatment. However, I knew that she had a high chance of having drug resistant TB (because of previous irregular treatment), a form that is notoriously difficult to treat and is associated with a high risk of death. It is not widely known that tuberculosis is the third major killer of women aged 15-44 years, accounting for approximately 700,000 deaths a year globally and causing illness in millions more. TB is more common during and immediately after pregnancy, possibly due to the changes in immunity that occur during that time. This not only poses a risk to the life of the woman but also increases the chances of death in the newborn baby. Babies born to women with TB are also more underweight and are at high risk of developing the disease themselves due to the close contact with their mother. TB can cause infertility and chronic infections of the reproductive system. Malnutrition and food insecurity can exacerbate the risk of TB disease; other threats such as rising tobacco use and diabetes among women, can also mean an increasing burden of TB. The AIDS epidemic has had a major impact on TB rates in many countries, affecting more women and at younger ages than previously. Women living with HIV are 10 times more susceptible to TB than HIV uninfected women. A study in Pune found that TB increased the probability of death for HIV-infected pregnant women and their infants. Further, HIV-positive women with TB during pregnancy had a higher risk of transmitting HIV to their babies compared to women without TB. While nationally, HIV infection in pregnant women is rare, there are 156 districts with higher (greater than 1 per cent) HIV prevalence, where extra attention needs to be paid to screening for both HIV and TB in pregnancy. There is another, more indirect, but equally serious consequence way of suffering from TB. A study from Chennai estimated that 15 per cent of women who develop TB faced rejection by their families, highlighting the stigma that TB still has in our society today. TB among women also affects children: they are at risk of infection from their main caregivers and are often pulled out of school to help care for sick family members or to provide additional income for the family. TB is associated with and exacerbated by poverty, overcrowding and malnutrition, conditions commonly faced by women, especially in urban slums. In an attempt to reduce maternal mortality and improve pregnancy outcomes, the government, through the National Rural Health Mission, is making efforts to improve the quality of antenatal care and increase the proportion of institutional deliveries attended by trained personnel. Screening and treatment of common infectious diseases (TB nationally, HIV and malaria in some regions of India) should be integrated into key entry points to the health system for women, notably antenatal care, family planning services and child immunization visits. A simple screening tool with four questions (presence of cough, fever, weight loss or absence of weight gain during pregnancy and night sweats) could be used by health workers (ASHAs or Village health nurses) to exclude TB. Those with any of these symptoms need to be further investigated for TB. All pregnant women should be counselled and offered HIV testing and if found to be HIV positive should be further evaluated for antiretroviral treatment, counselled regarding infant feeding and followed-up closely. Many malaria-endemic countries in Africa use intermittent preventive therapy (IPTp) with anti-malarial drugs during pregnancy to reduce the impact of malaria on mother and child. In the highly malaria endemic regions of India, pregnant women should be counselled to sleep under bednets, screened and treated for malaria if symptomatic and receive preventive therapy if not. In addition to attention to the obstetric causes of maternal mortality, it is time we acted on the less obvious but equally important killers of women. This story was first published in The Hindu 5 May 2010. What does women’s empowerment really mean? On the face of it, this post has nothing to do with TB. And yet, it has deep connections. Let’s look at how many lives of women TB claims across the world. According to a report published by The Lancet, globally, 700 000 women die from tuberculosis every year; this disease kills more women than do all causes of maternal mortality combined. Does this have to do with empowerment or the lack of it? Maybe both. At a recent blood donation camp held in Bangalore, where I was a participant/volunteer/potential donor, a majority of the women who volunteered to donate blood were found ineligible. These were young women, none more than 28-30 years; they were upwardly mobile young professionals and fitted perfectly into the profile of financially independent, empowered women. And yet, all of them were found to either have low haemoglobin count, low blood pressure, or were underweight. And to stretch an argument, they could at some point of their lives find their health compromised enough to be infected by TB, which lurks around people who provide an environment conducive to its spread. In this scenario, it doesn’t take much to imagine the plight of women who are poor, have to work harder and longer hours at lower wages. They have to also be content with eating leftovers if any, or go hungry. And to top it all, they get least priority for healthcare within their families. So we come back to empowerment. Have we really understood women’s empowerment? For the woman, does it merely mean salary cheques at the beginning of a month and the freedom to be militant and aggressive? Shouldn’t it also mean the freedom to make informed decisions about what is good for them, negotiate for better health and living conditions, and the right to stand up and be counted? Women are directly responsible for perpetuating the human race; they nurture families, and above all, they have a duty to keep themselves healthy. Shouldn’t empowerment actually mean the ‘means’ to enable all of this for themselves? Have we somewhere missed the woods for the trees while commuicating messages about women’s empowerment? Are development agencies listening? Does this connect with TB? It sure does. TB loves people without empowerment, or the wrong kind of empowerment! What makes a good health story? What makes a good health story? This is a question that has often confounded me. Writing health stories, fraught as it is with challenges of getting access to the stories themselves, collecting the data, and getting them commissioned, is a daunting task. Added to which is the fact that media space for health stories is shrinking if not non-existent. And yet, health, or the lack of it is an important piece in the jigsaw of human development and needs to be written about. Writing on health, means telling compelling stories that will engage the reader enough to identify with them and want to act. It means going behind the numbers. For instance, if India has a staggering 2 million deaths owing to TB every year, it is not only the figures, but the human lives behind the figures that become important. Where are these figures coming from? Are they urban or rural people? How do they live? What do they eat? Why are they falling sick? All these have linkages to each other and to larger life issues and without these linkages, we have mere reports and not stories. That makes a huge canvas for a health journalist to fill. Consider the challenges. First, reporting on health is associated with myriad complexities. The information we put out has to be accurate and simple enough for the lay reader to comprehend. This is not easy because a health story has to include medical terms which are difficult to understand and use in the right context. The subtle difference between incidence and prevalence for example is significant and the terms need to be used correctly. While writing a story on childhood TB, the doctors I spoke to often used the terms pauci-bacillary, AFB etc. I spent anxious moments trying to use them in the right context because I am just a journalist and not a doctor. And remember, journalists are up against deadlines!! Second, there are two clear parts to a holistic health story. There are the human elements and the hard facts, and journalists need both at the same time regardless of whether they are reporting from the field or from conferences. Journalists are often confounded and befuddled by figures and studies presented through power points at conferences. They then tear their hair apart trying to make enough sense of them to file a readable story. While reporting from the field upwards, they have the human stories but fusing it with the bits that can hold it together is difficult. By themselves, neither of these can be used for advocacy. The first dealt only with figures and failed to show the humans behind them. The second merely gave a glimpse into the story of a child’s life. It could at best kindle a bit of sympathy. Neither gave a complete picture. So it is up to a journalist to knit these two elements together. Third, a story makes complete sense only when it reflects the voices of several stakeholders. Who are the stakeholders to a health story? If the story is about childhood TB for instance, it would obviously first be the child who is affected. But the doctor who is treating the child would be equally important. And this is not enough. The numbers are important because readers want to know how severe the problem is. This is a tough one. Where do we get simple, easy to use numbers? Alongside is the India profile from the WHO website and the data is complex enough to give one sleepless nights!! Interested agencies would be well advised to post special factfiles on their websites, that are relevant for the media and which journalists can decipher and use at short notice. This would serve their cause much better and make our lives simpler! Further, access to pathologists and radiologists is important because childhood TB diagnosis is a problem. We need experts who can give context and credibility to a story. What the head of a government TB programme says is much more important and credible than what a journalist is saying. That is quite a big wish list. Do we get all of this? Sometimes yes, most often no. It is absolutely imperative for a journalist to have quick and ready access to experts, professionals, policy makers, activists and grassroots workers. What we need is networks where journalists are equal stakeholders and actively participate in the process of change. We need people to speak with us and not to us. We also need time and effort to be invested in building our knowledge so that we can then write informed, useful articles on health. I also want to make a distinction here between training and knowledge building. Journalists do not need training on how to write; most of them have reasonably good writing skills and can pull a story together with ease. What they really need is regular interaction with those who know the latest developments, trends, the terminology, and all the other technicalities. I mean the hard stuff about the disease which is so difficult to understand and yet, so vital to write about. Even if all this is made possible, and there is a good story on hand, I still hosted a party than no one came to, because the truth is that TB does not make news. Speaking of the Indian context, I have it from editors that the urban reader who reads English newspapers does not want to read about TB or other diseases, which are, right or wrong, perceived as diseases of the poor. And therefore these stories are killed. But the good news also is that less than 15 per cent of India’s population reads English newspapers. This means that 85 per cent of the population – a large section of which is ‘poor’ reads vernacular papers and these are still open to us. Currently very little attention is paid to building the capacities of this very vital space. This has to change. And change has to happen fast. There is no time to waste. JATB is grateful to the mother of little Sushil (name changed) for letting us use his story in the slide above. Sunil (13), is HIV positive and TB has ravaged his stomach, brain and lungs. Though intensive treatment has helped, there were diagnostic problems. He is presently on ART as well as TB medication. At times, when he is suffering from more than one opportunistic infection (OI), the regimen is intense. His treatment at the charitable SEWA Clinic in Bangalore is supported by Milana, a group that helps families affected by HIV and AIDS.